No one wants to work harder than they have to, right? We want to get that pile of papers off the desk and into the trash -- I mean "Completed" pile - and get out of here by 5. But sometimes, we get slowed down by the archaic tools we're forced to use in the office. Well, fear not, faithful Ninja readers! We've got the answers for you - a suite of apps and products that will help streamline your daily activities in the office and might even get you promoted! Unless you're Jett. The only promotion he's getting is backwards. Everyone hates morning meetings. You haven't had enough coffee, you don't even like these people, let alone want to collaborate with them. But they're necessary. 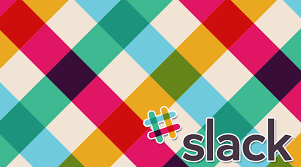 With Slack, you can do them from home with your pajamas on! Think of Slack as a virtual office. You can collaborate on documents, schedule tasks for employees, farm out tasks on projects, keep track of where everyone is at, even hold meetings virtually. It's the pants optional job you've been waiting for! Everyone needs to take notes. But paper and pencil is SOOO 1999. Evernote has been around for quite a while, and it's the best way to keep track of everything - from meeting notes to todo lists to saved websites to project information, and even personal stuff like recipes. Also, Evernote allows you to attach PDFs, images and Word documents to notes, and you can even access everything offline! 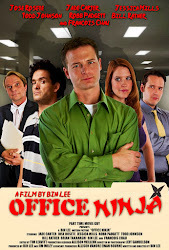 Google Apps has the best suite of writing and calculation apps around, mostly because they're awesome at collaboration. Using Google Docs (it's like Microsoft Word) and Sheets (Excel), you can have multiple people working on one document at the same time - even when they're not in the same room! Everything is saved in Google Drive, so there's no worry if you spill beer in your computer and kill the hard drive. I mean "soda." And speaking of the cloud, DropBox is the best place for keeping all your stuff in one place safely. 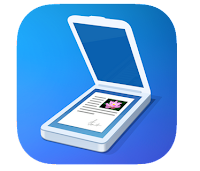 DropBox lets you store just about any type or size file in folders that are also shareable with other coworkers or clients. You can drag and drop things into your DropBox folder from your computer and it instantly uploads for anyone else who's sharing the same folder. That's using your ninja skills at work! What other apps and programs are YOU using in your office to make things easier? Let us know in the comments!